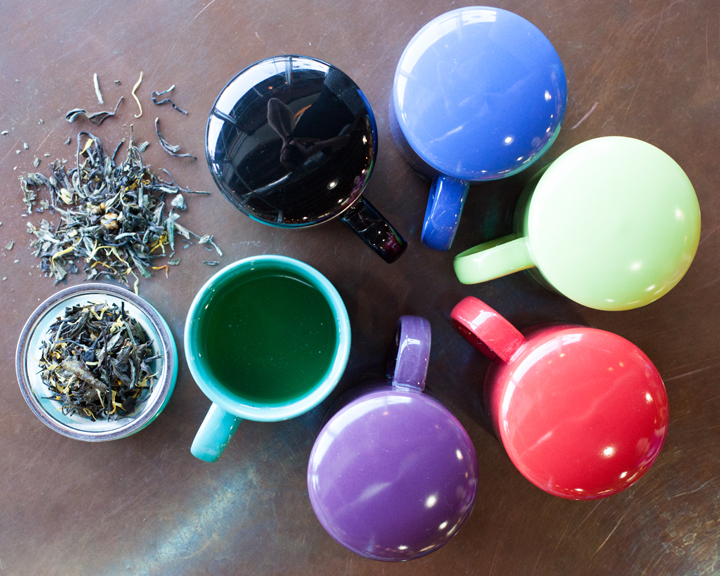 It’s the season to introduce friends and family to the wonders of tea! 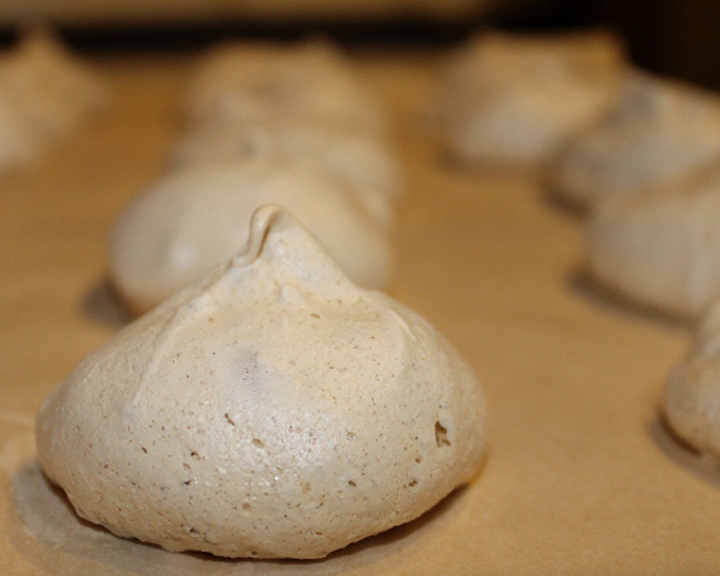 Don’t miss the Chai Spice Meringue recipe at the bottom of this post. Crafted by Georgia at our Eden Prairie location- they’re amazing! ‘Teas the season- All year long! 1. Tea of the Month Club It’s like an advent calendar of tea that keeps coming all year! 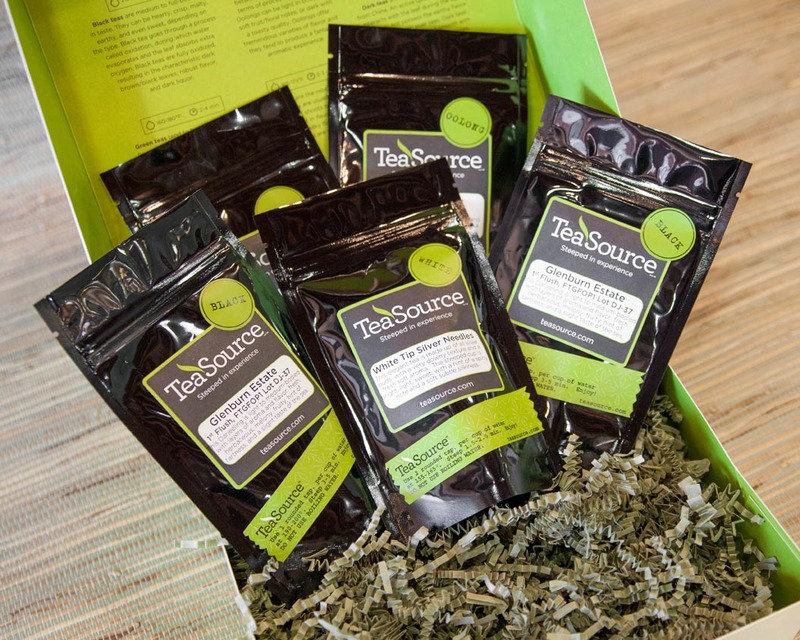 Every month a 4 oz pouch of tea arrives on your doorstep. Is someone you know new to tea? 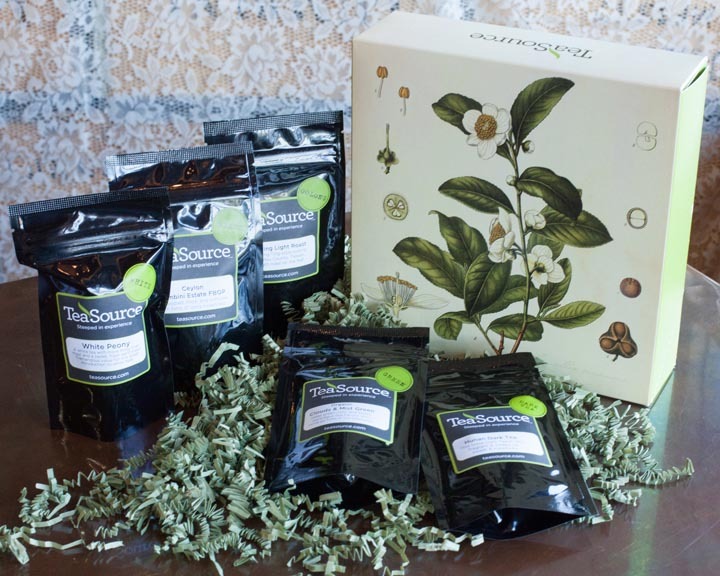 Tea of the Month Club is the perfect gift for newbie and expert. 2. You, and a mug of Roasted Chestnut Roasted Chestnut is our own black tea blend and was voted best flavored black tea of 2014. Only $6.59 for four ounces! Try it with a swirl of honey and a dollop of milk (or with a splash of Irish Cream!). 3. Basic Brew in Mug and 4 oz. of Fireside Spice Everything the tea novice needs.. The 11 oz. stoneware mug comes with a built-in stainless steel tea strainer and coaster lid for just $10.99. Fireside Spice is on sale: $7.18/four oz. through December. 8. 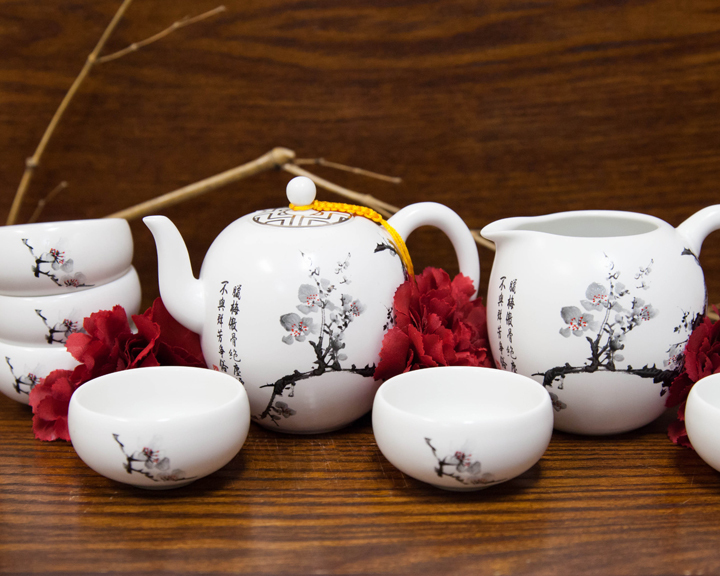 Eilong Taiwanese Porcelain Stunning, heirloom quality, and exquisitely functional; we love these Taiwanese tea sets. Take one home. You’ll fall in love with them too! $49.99-$79.99 9. 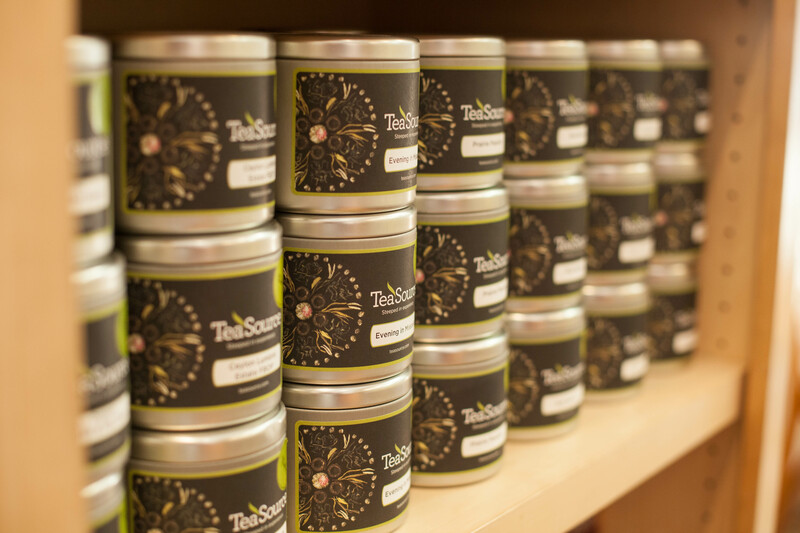 Fabulous Indian Teas TeaSource will be featuring the best teas of India throughout 2015 with teas you can’t find at just any tea shop. Green Darjeelings, exotic estates, and awesome Assams! Try my personal favorite: Darjeeling, Giddapahar Estate 2nd flush, Musk. $23.97/four oz. 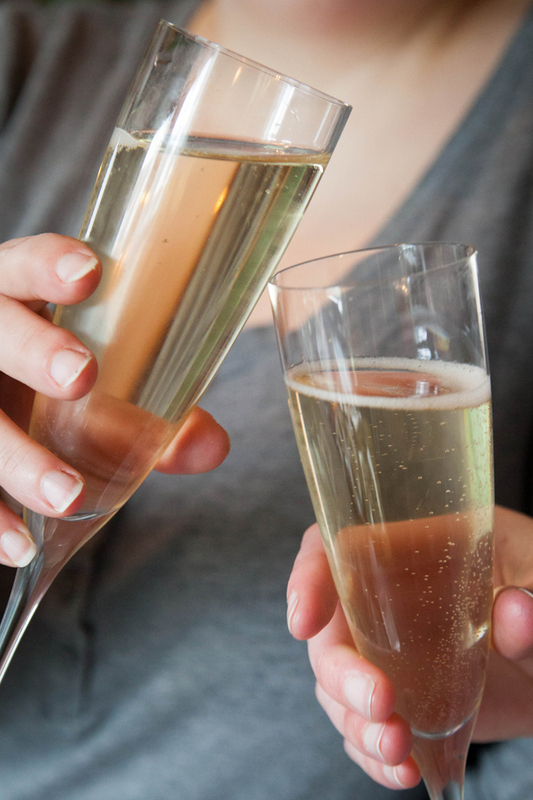 Fill a champagne flute halfway with Jasmine, then top off the glass with champagne. Adjust to your personal taste. Cheers! Cold brew iced tea instructions here. 11. Fireside Toddy Santa does not want milk and cookies. He wants a Fireside Toddy and Chai Spice Meringues! Hot Toddies were traditionally made with black tea, but this ingredient is often left out of modern recipes. For shame! We are bringing it back with our Fireside Toddy! Fireside Spice Tea concentrate. 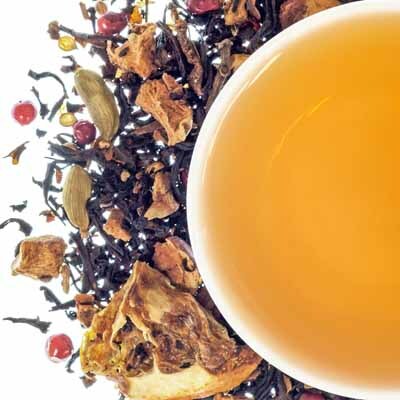 To prepare: use I heaping teaspoon (3-4 grams) Fireside Spice tea. Steep in 4-6 oz. boiling water for 4 minutes. Combine all ingredients in a tea cup, stir, and garnish with lemon peel. 12. Georgia’s Amazing Chai Spice Meringues Makes Approximately 30 meringues Takes 30 minutes to prep. (45 if you are distracted singing along with Christmas music). Add the vanilla to your egg whites and start mixing. Put your electric mixer on the highest setting. When the egg whites and vanilla have reached the stiff peak stage, (aprox. 5 min.) keep the mixer going and slowly add in the sugar, spice, and salt blend. Turn the mixer off when everything is fully incorporated. Using 2 small spoons, (one to scoop and one to help pry the meringue off the first spoon) spoon bite sixed mounds of meringue onto a well-greased baking sheet. They can be placed close together because they don’t expand or flatten much. 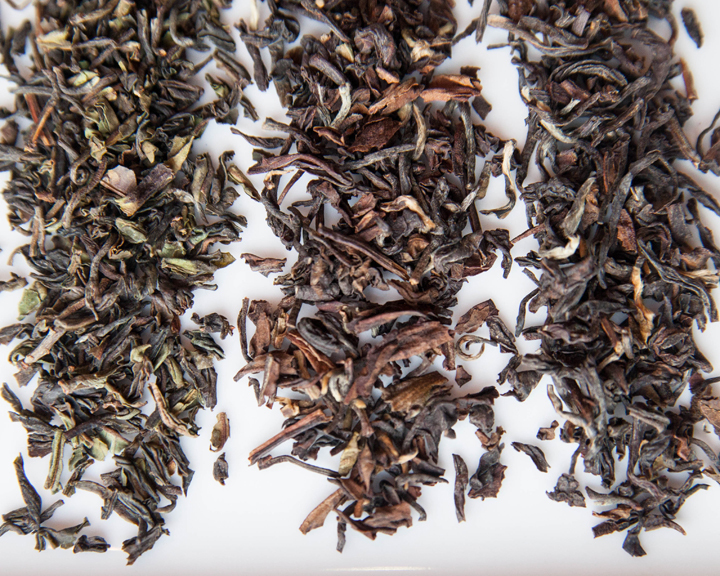 Dark tea is unique because it is the only deliberately aged tea that undergoes a secondary fermentation process. Because of this additional step, it contains an active micro-organism called Golden Flowers (Eurotium Cristatum). This micro-organism is present specifically in Dark tea made in Anhua County, Hunan Province, China. Golden Flowers is actually visible in some Dark teas and looks like tiny yellow flecks. If you want to experience Golden Flowers up close and personal, check out our Fu Cha brick. Dark tea is a critical source of minerals and nutrients to people in many areas of China. Over the past several years TeaSource has had the opportunity to work with Ms. Zhang Liumei, tea scientist and co-founder of Yiqingyuan Tea company in Hunan Province. 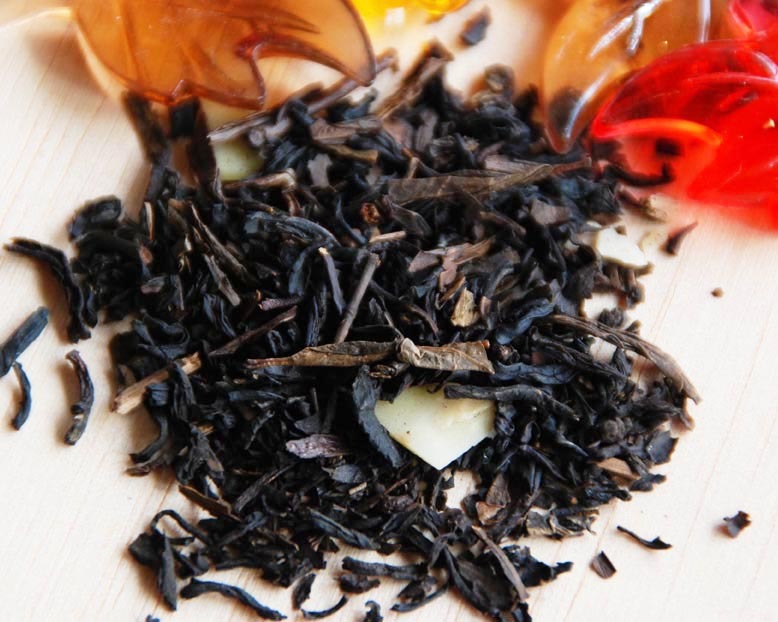 Ms. Zhang created one of our most popular and unique teas, Dark Rose, which is pressed into a small heart shape. She describes it as “a spa in a cup” and she’s right. It’s a perfect introduction to this fascinating category of tea. Iced tea is the stuff of summer. Everybody knows that. Sweet tea, tea cocktails, tea infused beer, and even tea with ice cream all come to mind as tasty ways to beat the heat. We have regular customers who drink gallon upon GALLON of iced TeaSource Gold in our stores each week, and personally, I don’t know where I’d be without my daily dose of cold brewed Green Mango. I would be hard pressed to find a drink that tastes as good, is actually good for you, and has stood the test of time as well as iced tea. It's almost as American as baseball and apple pie, don't you think? There are so many creative ways to enjoy cold tea that it’s hard to choose just one angle. Here are a few of our favorite recipes to give you some ideas for your next family gathering or get together. Summer is too short to sweat the small stuff, so slow down and enjoy it with a cup of iced tea. Mix and serve over ice. Garnish with orange slices. Steep 4 tablespoons of dry oolong tea in 4 cups of cold water in fridge for 6 hours. Strain, cover, and refrigerate for an hour. Pour half a glass of chilled oolong tea, fill the remainder of the glass with champagne. Take 1 can of frozen lemonade concentrate. Blend into 1 gallon of cold water. Cold brew one ounce of Strawberry Oolong in the watered down lemonade overnight. Remove tea leaves. 2/3 cup frozen passion fruit juice concentrate, thawed. Optional: a couple of shots of dark rum. Combine all ingredients, stir, and serve over ice. 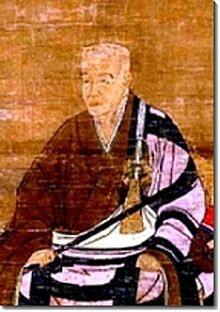 It is said the Zen priest Eisai (pictured right) brought tea seeds to Kyoto in 1191 and popularized the consumption of powdered tea. It wasn’t until the fifteenth century that a new culture around tea evolved into the modern tea ceremony known as Chanoyu (literally translated “hot water for tea”). The tea ceremony is an extremely structured and studied ritual that embodies many philosophical, artistic, and aesthetic concepts unique to Japanese culture. Traditionally, a powdered green tea called matcha is used during the tea ceremony, along with an array of traditional utensils. Matcha can also be prepared casually and is often used in recipes for ice cream, chocolate, and smoothies. The tea ceremony is just one way to appreciate the act of making and serving matcha, but it is by no means the only way. Matcha is made from the tea leaves similar to those grown to make Gyokuro, a high grade tea that is shaded for the last three weeks before plucking. The shading causes the plant to produce more chlorophyll, giving both the leaf and the liquor a brilliant emerald color. These leaves are then stone ground into a powder to make matcha. High grade matcha steeps up sweet and slightly bitter with a taste of the sea. Japanese teas are distinct for three main reasons: they are machine harvested, they are often shaded before plucking (though not always), and they are steamed instead of fired. 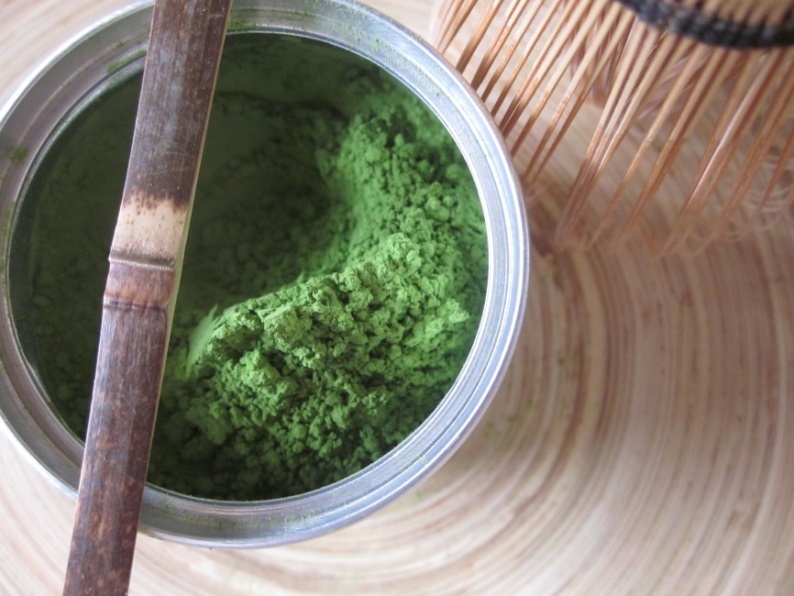 It is not difficult to make matcha at home using the traditional utensils. In fact, it affords an opportunity to develop a ritual of your own. You do not have to be a tea master to enjoy preparing matcha. Heat the tea bowl with a small amount of hot water, the same way you would warm a teapot. Heat your water to a rolling boil and add a small amount of cold water to bring the temperature down to 175 – 185 degrees. Measure approximately ¼ cup of water and pour it into the bowl. Whisk the matcha vigorously for 15-20 seconds. Small bubbles will start to appear on the top of the liquid. TIP: The whisking action comes from the wrist; your arm should not move at all. Make “M” or “W” shapes with the whisk, careful not to let it touch the bottom of the bowl. This will fully aerate the tea as it dissolves. If you’d like to delve deeper into this topic, there are many wonderful resources to tap into. 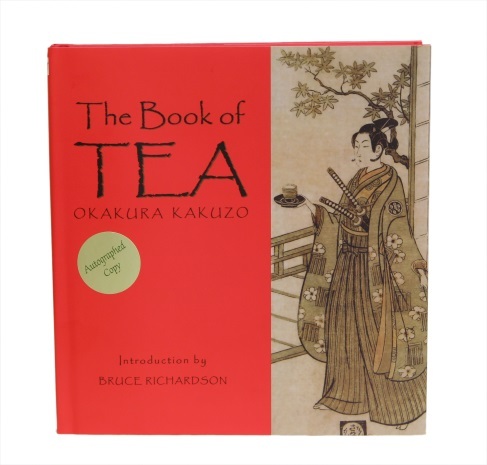 The Book of Tea by Okakura Kakuzo is a good place to start. The Tea Ceremony by Sendo Tanaka is also an extremely detailed and beautiful book that talks at length about the history and evolution of the Japanese tea ceremony. It includes many photos that bring the tea room and the tea ceremony to life. India grows a lot of tea. It is the second largest tea producer in the world (China is first) – making over one million metric tons of finished tea per year. But the story told to us about Indian tea is actually much larger than India (and India is big!). 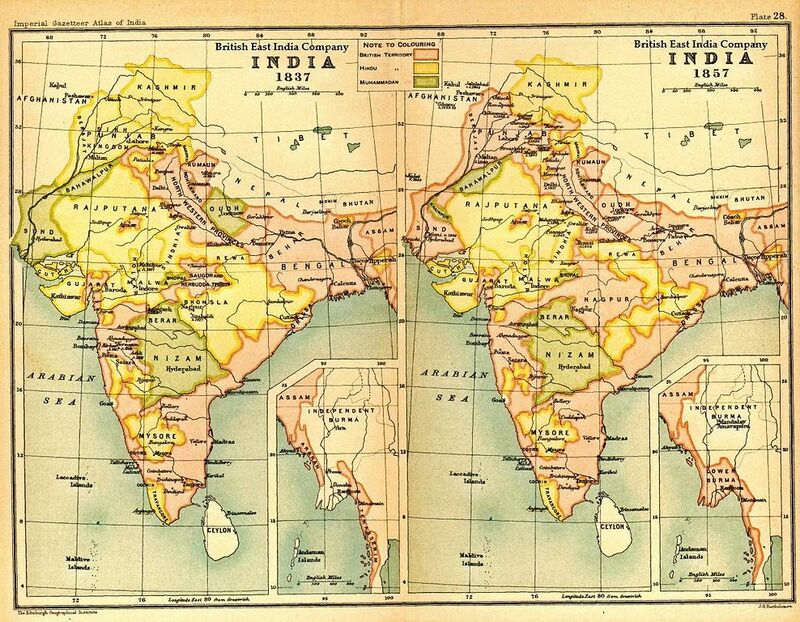 It is also about the British empire; it is about the East India Company and the consequences of global trade; and it is about the influence of the west on the east. Up into the 19th century, tea plants and the tea trade belonged to China. But the demand for tea was rapidly growing in the west and so were the pressures with the East. Because the Chinese had a monopoly on tea and little interest in European goods, they could demand to be paid in silver, causing the British to run significant trade deficits (an issue America and China are grappling with today). To reverse the flow of silver back home, the British began selling large amounts of cheap opium (grown in India) to China. Furious at the British for turning their country into opium addicts (and depriving them of silver), the Chinese began confiscating and destroying the British opium supplies. The British retaliated with military force and fought what we now refer to as the first "opium war" of 1839-1842. 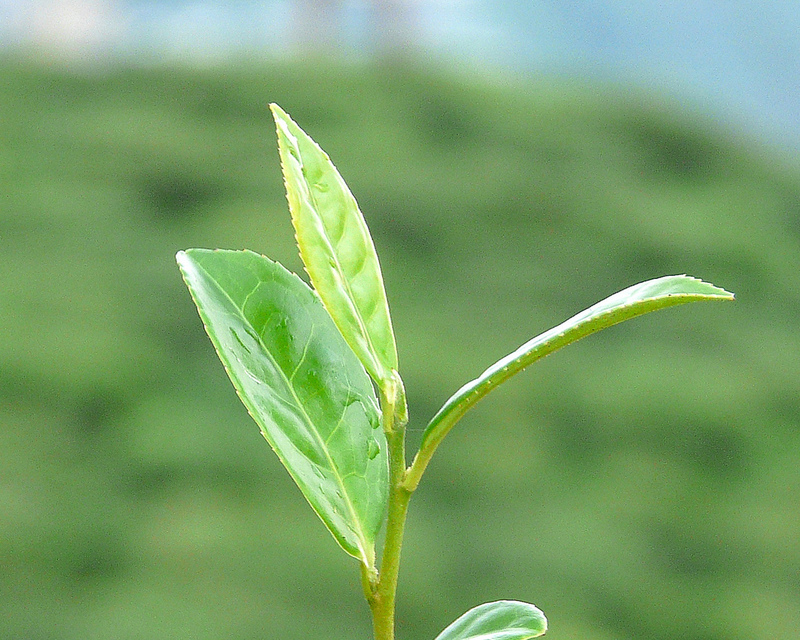 While these tensions were escalating, the British discovered an indigenous tea plant (camellia sinensis var. Assamica) growing in India. This was of no significance to the rest of the world until a couple employees of the East India Company began a project to start cultivating these wild tea plants in Assam. Motivated to find a commercial alternative to Chinese tea, the British had already been experimenting with growing tea in India. The lack of experience and infrastructure (Assam was an undeveloped jungle at the time) prevented any real success up to this point, but these Assam tea plants proved well suited for the warmer climates of India. Through the stubborn persistence of the British (none of this came easy and often ended tragically) and help from imported Chinese knowledge and labor, the cultivation of tea in India became viable – and the proliferation of the Assam plant grew it to the size it is today. 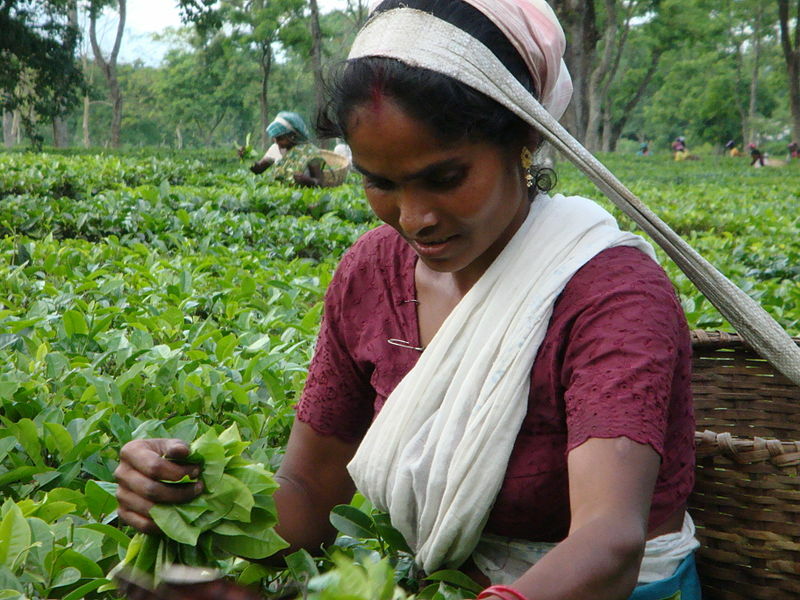 As the modern Indian tea industry established, three "official" geographically recognized tea producing regions emerged: Assam, Darjeeling, and Nilgiri. 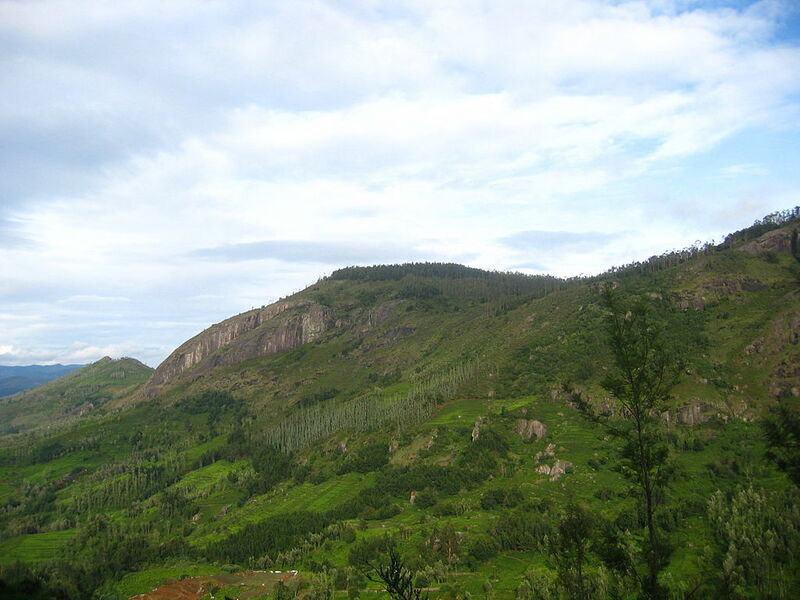 The home to India’s native tea plant, Assam was a jungle surrounding the Brahmaputra River valley in east India. It currently produces over 50% of India’s total tea output and Assam teas are noted for being strong, full-bodied, with malty flavors. The indigenous Assamica plant prefers the warm, lush environment of its home and can stay productive most of the year, though 2nd flush teas are often considered the best. CTC teas are common in Assam. CTC, or "crush, tear, curl," teas are machine processed versus orthodox manufacturing. But fine orthodox teas are still available and range from their traditional deep, malty cups to sweet, almost tobacco-like flavors, similar to Yunnan teas (which is not surprising since the cultivars are similar and nearby on the map). The teas of the "Blue Mountains" of Southern India are often overshadowed by the Darjeeling and Assam, but no less important to the story of India tea. Because of the tropical environment, Nilgiri plants (primarily the Assamica variety) will flush year round and are not separated by "flushes" like Assam and Darjeeling teas. Known for their smooth, fruity, gentle nature, the best orthodox teas from Nilgiri happen in the winter months of January and February, where sometimes even a little frostbite from the highest elevations can add unique and desirable complexity to the cup. The above is not comprehensive. There are many details to fill in, many exceptions, and still much to learn. As always, the best way to learn is to taste them, and read more.